Supporting families of children with congenital heart disease treated at Levine Children’s Hospital. Providing hospitals, doctors and scholars resources to better the lives of those affected by cancer. 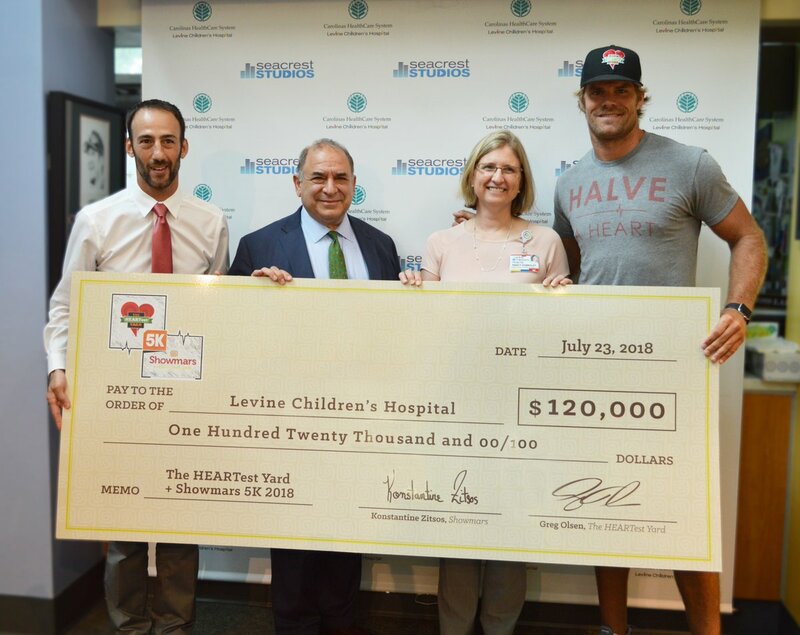 Showmars presented @LevineChildrens with the funds raised from the HEARTest Yard 5k with the Greg Olsen Foundation. "Without the nursing care provided by The HEARTest Yard, we feel that Brantley would not be the thriving, healthy child that he is." When our son Brantley Register was born on February 3, 2014, his hands and feet quickly started turning blue. The nurses checked his vitals and immediately realized there was an issue. 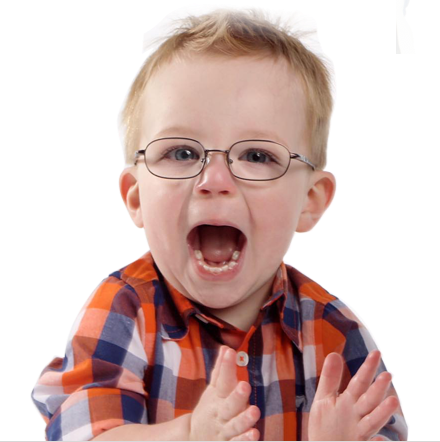 After an echocardiogram, Brantley was diagnosed with Hypoplastic Left Heart Syndrome (HLHS), a fatal pediatric heart condition if left untreated. He was transferred to Levine Children’s Hospital. 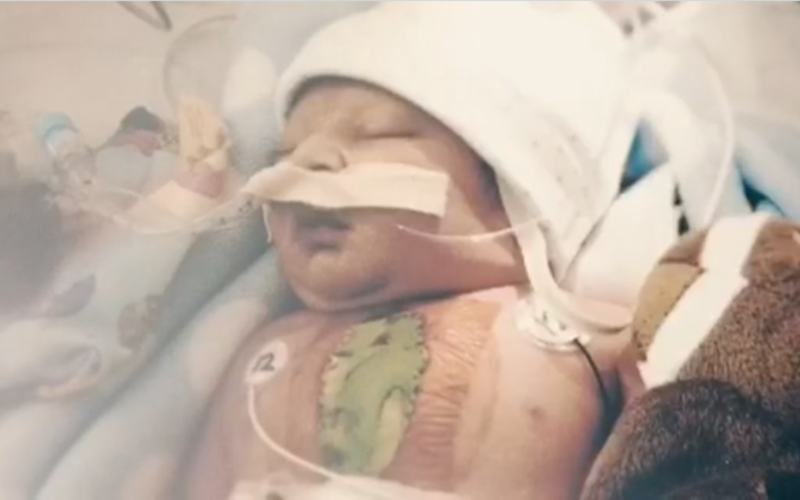 In less than 24 hours of life, Brantley received his first lifesaving open-heart surgery and three subsequent abdominal surgeries related to his condition. Brantley spent the first 63 days of his life in Levine Children’s Cardiovascular Intensive Care Unit, and after 74 days in the hospital he was able to come home with us for the very first time. During his stay in the hospital, we learned of The HEARTest Yard. As parents of a child with a congenital heart defect that has the highest mortality rate, we were relieved, ecstatic and grateful that such a foundation exists to help families like us. HLHS babies receive a series of three open-heart surgeries, and the time between the first and second surgeries is the most critical. These children basically live in a bubble. The HEARTest Yard provided us with nurses who were trained on how to take care of patients with HLHS, who can watch for the warning signs that something is wrong and provided a peace of mind for us. When we went to the hospital to have Brantley, we thought we were having a normal baby. One can only imagine the state of shock that we were in when we found out about Brantley’s special heart. So many emotions run through your head when faced with a situation like we were in. Will he be ok? What will we need to do to take care of him? How will we be able to afford to take care of him? Will one of us need to quit our jobs? The answer to our questions was The HEARTest Yard. On August 26, 2014, Brantley returned to Levine Children’s Hospital for the second of the three heart surgeries. We absolutely feel that the nursing care that Brantley received between the first and second surgeries helped provide the best possible outcome that we could imagine. Without the nursing care provided by The HEARTest Yard, we feel that Brantley would not be the thriving, healthy child that he is. We help provide hospitals, doctors, scholars, families and patients resources to enhance the lives of those affected by congenital heart disease and various forms of cancer. We partner with local and national organizations to assist those affected by these debilitating diseases. It’s our goal to give patients a second chance at life.